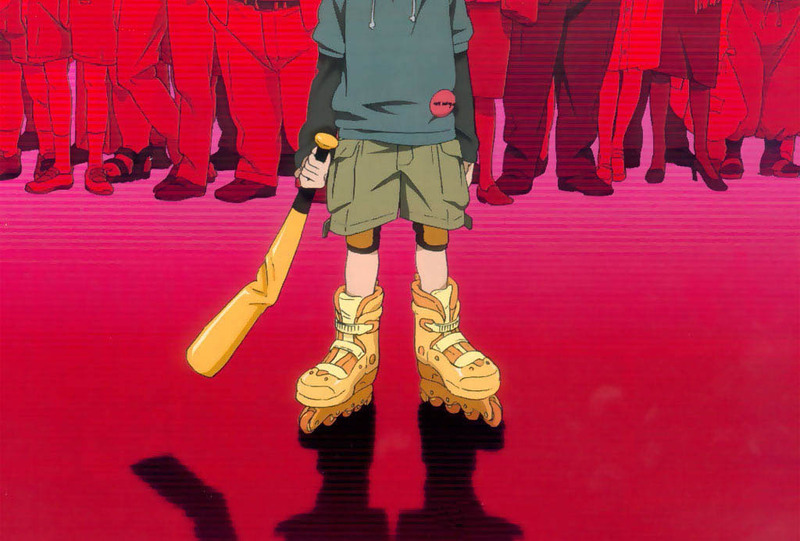 The villain I have chosen is Shounen Batto from Paranoia Agent. He is supposedly this boy on rollerblades with a metal batt, whacking people on the head whenever they are in peril. Well in reality there is no Shounen Batto, he is just a materialisation of peoples stress and paranoia. They want to make their problems go away by blaming someone else – Shounen Batt. They want to be free of pressure and stress by being the victim of an accident. And they want to escape the scary reality and hide in their safe space. This concept makes Shounen Batto the ultimate villain! Reality hits you hard – literally with a metal batt. People are afraid of it, people try avoiding it, people hide from it, because reality is scary, but you must face it! Strong people overcome hardships, can you overcome the stress and paranoia of the real world? Can you beat Shounen Batto!